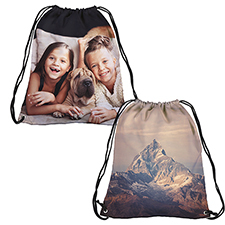 Size: 16.25" x 19.25" / 13.25" x 16.25"
Material: 100% polyester backpack with drawstring closure. Strong reinforced corners uphold this backpack so that it can be used for years. 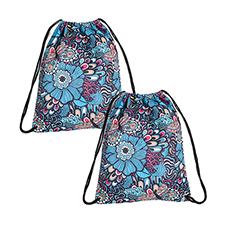 A double draw cord top secures the bag contents and allows you to carry the bag over your shoulders.